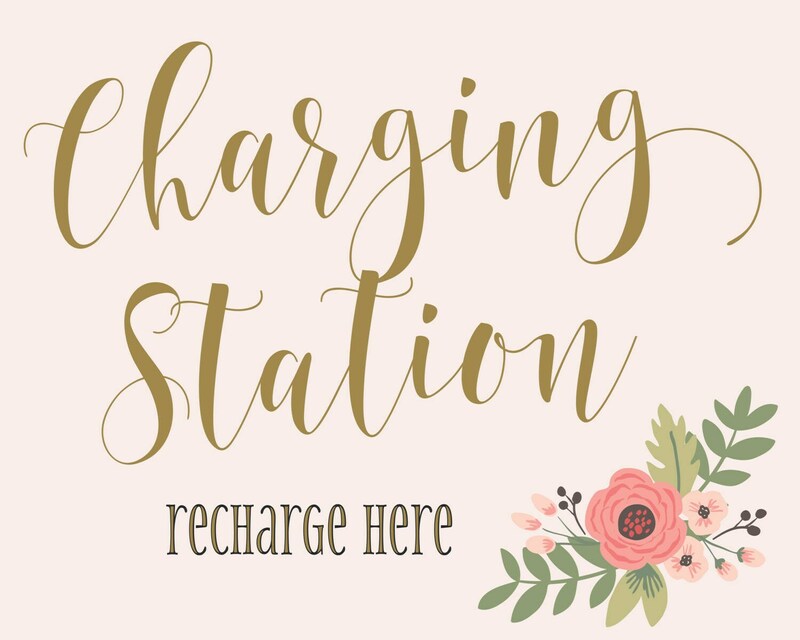 A cell phone charging bar is the latest wedding trend. It's totally thoughtful and your guests will love the gesture. 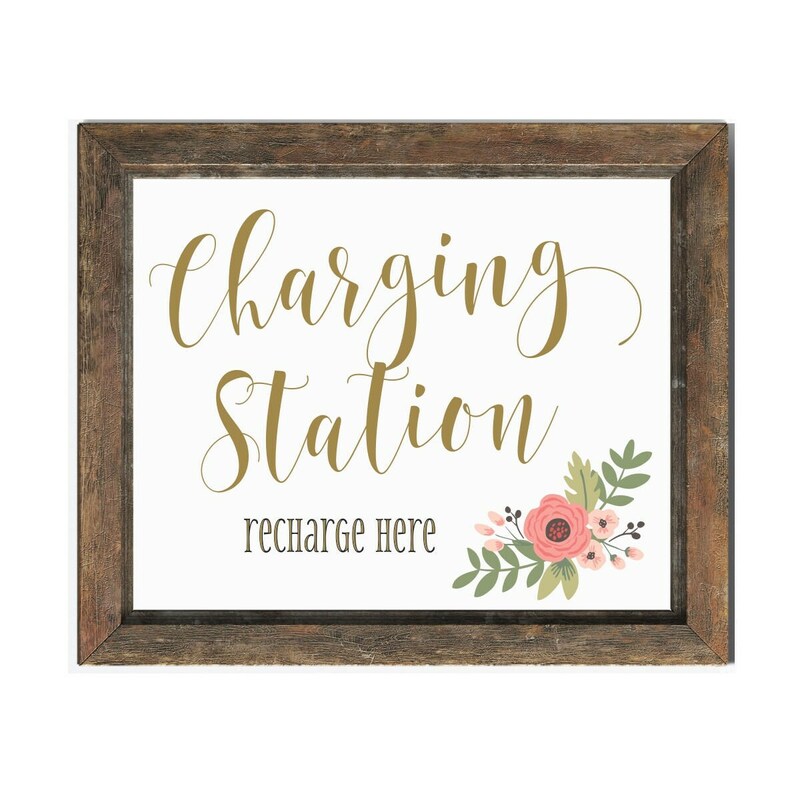 Designate the space with this lovely Charging Station Sign. This is an Instant DOWNLOAD file. No physical print will be mailed. Available for download will be an 8 x 10 JPG file with a blush OR white background. This can be printed at home or uploaded to a photo lab. If you need a PDF file, please let me know and I will be happy to email one.